Self Guided Cycle Japan tours and Guided cycle Japan tours including Hokkaido and Shikoku. Cycle Japan with the pioneers of Japan cycle touring, Cycle Hokkaido and Cycle Shikoku self guided or with a guide. From May till October. Hokkaido Shiretoko World Heritage area. — Renae French & Martin Langridge. The Playground of The Gods. June 2018. Sydney. Australia. John is the pioneer cycle tour guide in Japan. He has been exploring and guiding in remote parts of Japan since 1981. John speaks Japanese and his Diploma in Outdoor Recreation includes certification as a cycle tour guide. He has worked as a college trainer in Australia training other guides in cycle tour leadership and mechanical repairs. 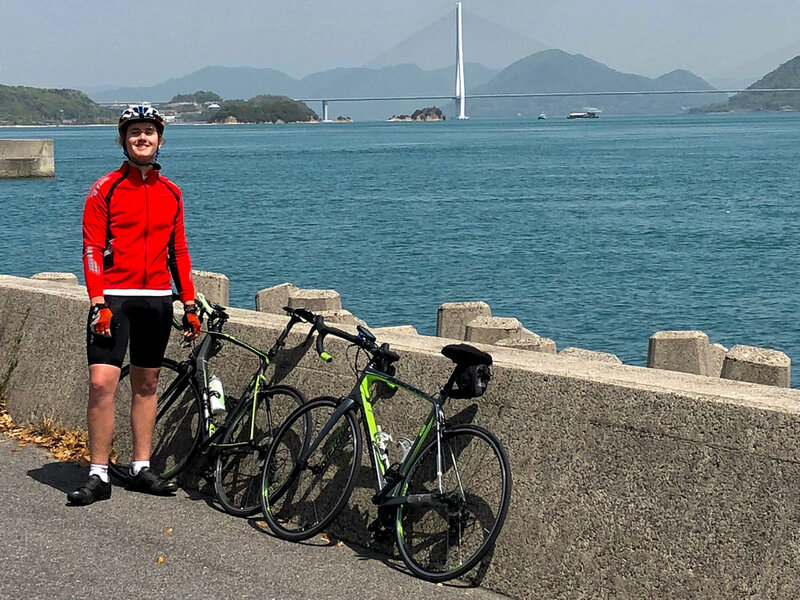 John's experience and skills in this area are second to none and he is your guarantee of a great cycling holiday in Japan. Cycle touring in Japan is extraordinary! Although more famous for its neon lit cities and busy highways, Japan’s network of quiet smooth backroads offers world class road cycling. Once you leave the bustle of the big cities, rural Japan exists as it has for centuries and exploring it by bicycle will give you an insight into this hidden world. A world of Buddhist pilgrims, soaring snow capped peaks, terraced rice paddies, ancient temples and traditional arts and crafts. A world of quiet dignity where warm hospitality evokes images of the simpler life of a long gone era. 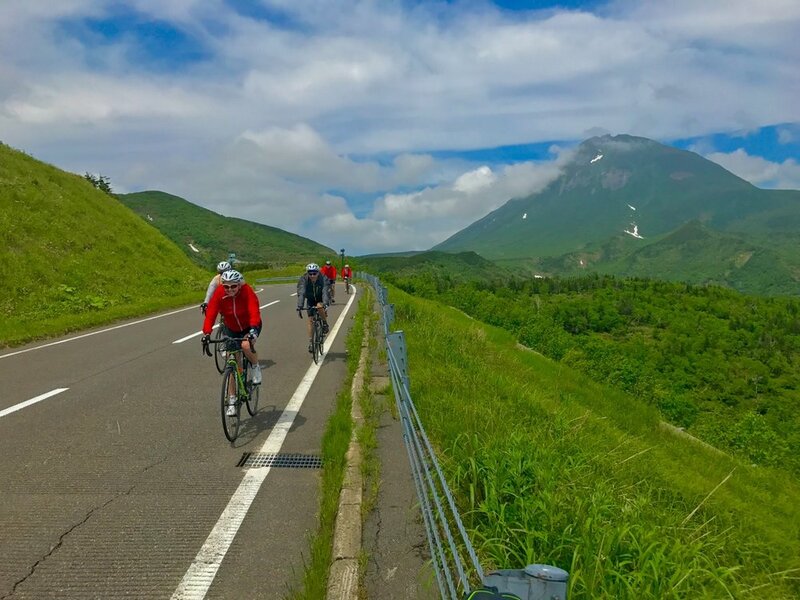 Our first cycle Japan tour ran in 1985 and our current cycle Japan tours have evolved from nearly thirty years of personal cycling experiences, professional guiding and thorough tour planning, ensuring you of the best cycling holiday this land has to offer. As Ian Mcewan said in 2008 after participating in our Shikoku ride. “You have to do this ride once in your lifetime”. Ian was right, and we look forward to you joining us to discover that cycle touring in Japan is indeed, extraordinary. Japan’s superb smooth roads are perfect for road bikes. Light weight wheels and light bikes make for enjoyable cycling on these manicured black tops. If you bring your favourite mountain bike, we recommend that you use slicks to get maximum cycling enjoyment. Our fleet of specially selected road bikes are perfect for your Japan cycling holiday. See our bikes page for more details. We do not hire mountain bikes. Season: April till October We have a range of both guided and self guided tours to choose from. Any of these itineraries can be taken as a private departure at a time that suits your group. 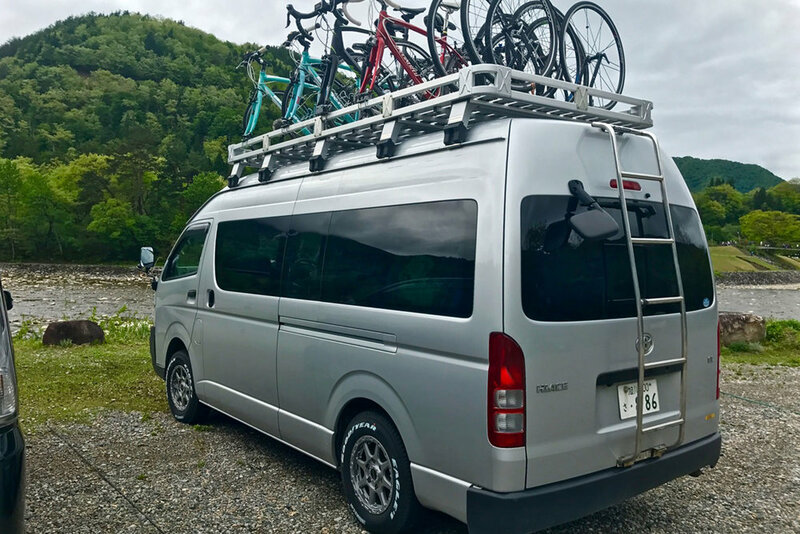 We don’t have a set minimum number for this so contact us to arrange a personal guided or self guided cycle tour of Hokkaido, Shikoku or the Noto Peninsula and The Japan Alps. Travel Agency License. All tour funds are processed by our partner company, Alpine Travel, a licensed Japanese Travel Agent. (Hokk. 3-627). We'll never share it with anyone else.